By the time they left Bob’s, the streets were empty. Colton hadn’t lost track of time like that in…more years than he cared to think about. He took her hand again, enjoying the spark of fire that lit through his bloodstream and led her through the fog toward River Street. Seeing the usually bustling area empty was equally beautiful and haunting. It brought back memories of earlier days. Centuries before cell phones and email. Back when his crew would drop anchor in the cloak of night and shanghai new crew members out of the pubs. He walked her across the gangplank and hopped down onto the deck. Turning back, he reached up to clasp her waist. She tipped her chin up toward him. He couldn’t resist the invitation, bending to kiss her lips. He hummed into her mouth as she opened, welcoming his exploration. She tasted like rum, root beer, and something wild he couldn’t place, but it didn’t matter. He wanted more. Her hands moved up his chest, as he clenched a handful of her silky hair in his fist. He held her tighter. God, she was made for his arms. His heart pounded in his ears reminding him…he was alive. Until he bumped into her on the stern of the ship, only the swells of the open sea gave him a rush of passion. His erection throbbed between them, and regretfully, she broke the kiss, stepping out of his embrace. “A damned fine kiss.” His chest rose and fell as he struggled to catch his breath. Except it wasn’t an act. She’d never believe him anyway, and he wasn’t ready for the night to end, so he kept the truth where it belonged. Buried. I just loved setting sail on the Sea Dog with Lisa Kessler’s immortal pirates! This fast-paced read had a bit of everything I love – romance, intrigue, a strong and smart heroine, a hero with some serious pirate swagger, and a cast of characters that has you longing to part of the crew. I was fully invested in this series after the first book, Magnolia Mystic, so I wasn’t surprised to find myself quickly drawn in to the life of Samuel Keegan. He’s met his match in Dr. Charlotte Sinclair, but being immortal makes getting involved with anyone a risky proposition if you want to protect yourself from heartbreak. For Charlotte, Keegan brings out a side of her she doesn’t often let herself show, and once she learns the truth about Keegan she knows she wants to find a way to spend her life with him – and having that life be one that is immortal does all sorts of things to her inner historian! These two were all sorts of fun together and I really enjoyed their playful banter, especially when some pirate humor was thrown in. “How do I look?” She turned around and slid her 1700s-era flintlock pistol into her belt. The quest for the holy grail, which the Sea Dog crew needs to maintain their immortality, has Keegan and Charlotte right in the middle of things, and both their lives are in danger. New players are introduced, old players can’t be trusted, and, my favorite part, some characters from one of the author’s other series make an appearance, which, in my opinion, has the potential to create some great crossover storylines. The only thing rougher than the seas for Samuel and Charlotte is the path they have to take to get to their happy ever after. The Sea Dog crew plays an important role in their story, from their need to protect Keegan from heartache, to their acceptance of Charlotte as part of their crew. And learning Charlotte’s background added exactly what this story needed to pull all the parts together. This is book 2 in the series but can easily be read as a standalone, although there is an overall series arc, so why not go back to book 1 and start from the beginning! Another great book from Lisa Kessler! 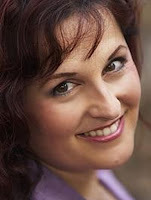 Lisa Kessler is a Best Selling author of dark paranormal fiction. She’s a two-time San Diego Book Award winner for Best Published Fantasy-Sci-fi-Horror and Best Published Romance. Her books have also won the PRISM award, the Award of Excellence, the National Excellence in Romantic Fiction Award, the Award of Merit from the Holt Medallion, and an International Digital Award for Best Paranormal. GIVEAWAY TERMS & CONDITIONS: Open internationally. One winner will be chosen to receive a $25 Amazon gift card. This giveaway is administered by Pure Textuality PR on behalf of Entangled Publishing. Giveaway ends 11/2/2018 @ 11:59pm EST. Entangled Publishing will send one winning prize, Pure Textuality PR will deliver the other. Limit one entry per reader and mailing address. Duplicates will be deleted. CLICK HERE TO ENTER!